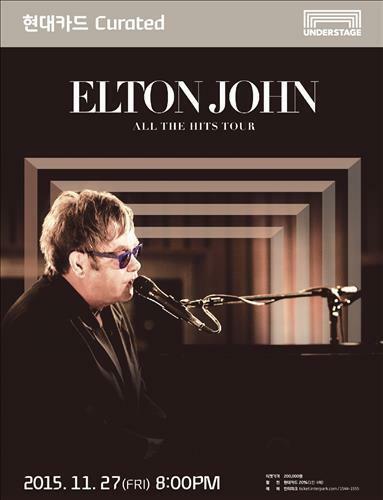 SEOUL (Yonhap) — Elton John and South Korean entertainment mogul Park Jin-young are trying to meet in South Korea to discuss Park’s coconut water venture, whose shares John owns, the South Korean businessman’s agency said Wednesday. John will visit South Korea later this month for a concert hosted by Hyundai Card in the central expat community of Itaewon in Seoul on Nov. 27. The British pop star is one of the major stockholders of Jing Holdings Ltd., which was started by Park in April. The Hong Kong-based enterprise markets a coconut water beverage called Jax Coco. The two are trying to schedule a meeting over that business during John’s visit, but no date has been fixed yet, a JYP Entertainment official said, adding John has been an active participant in that venture. Park has also thought of arranging a VIP private concert with John, but the likelihood of it happening this month appears low considering John’s busy schedule, the official said. All 500 seats for John’s concert in Seoul have been sold out.